Once again a Hot Water Heatpump or a Gas Boiler are the popular choices for Pool Heating. 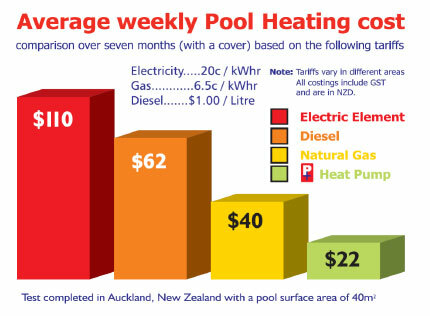 Please find below some information on running costs for Pool Heating with various heatsources. 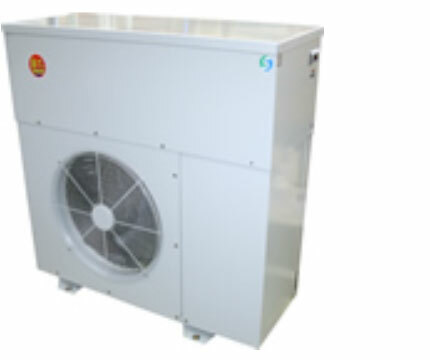 The Hot Water Heatpumps we use are specifically designed for swimming pool heating. Heat pumps are recognized as the most sustainable way to heat swimming pool water to a guaranteed temperature and with a Hot Water Heatpump you will save both energy and operating costs. Titanium Heat Exchanger suitable for both Chlorinated and Salt Water pools. Remote thermostat options Wide range of heating capacities.